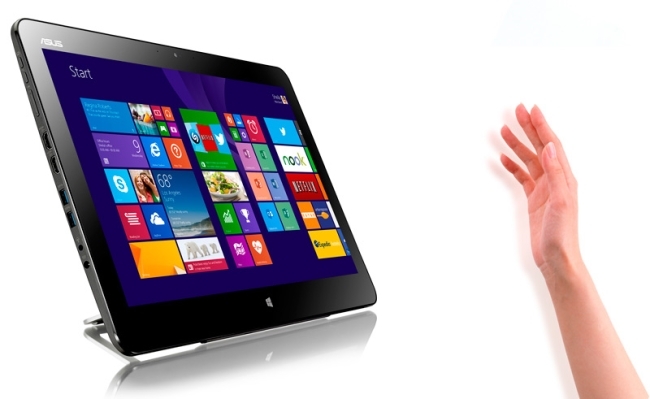 Facebook users accessing the social network via the latest line of Asus All-in-One devices will be able to use gesture solutions to navigate around the site following the computer manufacturer’s incorporation of gesture-recognition software from PointGrab. Asus AiO device owners will be able to engage with Facebook from anywhere in the room, using gestures to perform functions such as liking photos, exploring photo albums, browsing between photos, and controlling or muting volume. PointGrab said gesture-control features for Asus AiO devices will include cursor, swipe, grab, drag and drop, two hands zoom and rotate, and mimicking the “shh” motion to mute the audio, and supported applications include Metro (video, photos, and music), Windows photo viewer, Adobe PDF, Windows Media Player, and Maps. As people continue to adopt gesture as another way to control their devices, it was important for us to be able to offer the most ground-breaking and advanced solutions within our products. By partnering with PointGrab, Asus’ unique AiO devices will offer a great gesture control experience, which will also open the way for new and exciting content. We believe controlling your device from a distance using natural gestures brings great value to consumers in many use cases. We are very happy to add a leading PC vendor such as Asus to our customer base, and will continue to work together to make sure our gesture control experience reaches mass consumers. Readers: Have you ever used gesture recognition software? What did you think?